Happy Friday! As part of the 10 Day Challenge I shared my nine loves last week, and today I am sharing my eight fears. Thank you to Kristin @ Sweat Courage for starting this challenge! 1. Not having enough money to retire. I am terrified of never being able to retire, which is kind of funny since I enjoy and thrive in my work environment. If I had to do my job every day for the rest of my life it really wouldn’t be so bad. However, I don’t really WANT that to happen! I contribute to my 401K, I have a financial advisor, I have a savings account, but I am still worried that it’s not going to be enough! I mean, how do you know what is enough? What if I turn 92 years old and I suddenly need to get a JOB after having been retired for 30 years?! Would I become homeless at 92?! That’s so scary! 2. Woofy crumbling away. Woofy is my stuffed dog that I’ve had since I was 2 years old. 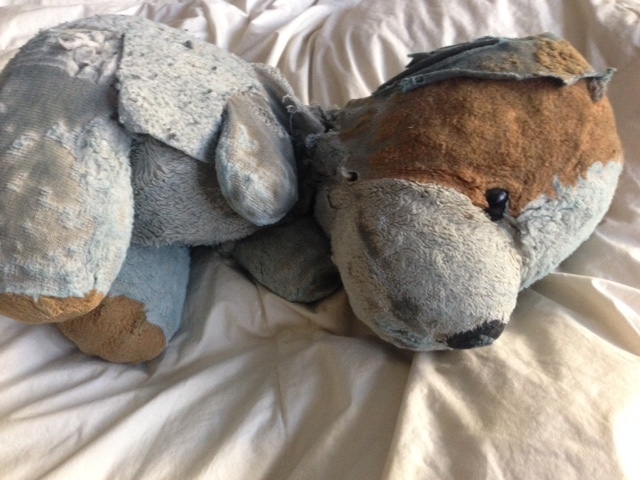 He is well loved and well worn… and I’m afraid one day he’s just going to turn into a pile of dust which would make me incredibly sad. I love that dog! 3. Getting shot or stabbed. For as long as I can remember I have had an irrational fear of being shot while walking down a hallway and being stabbed in my back while I sleep. I’ve always lived in a “good” neighborhood, I’ve never known anyone who was shot or stabbed, and yet I have these fears! As a kid I would sometimes think about these scenarios in bed at night and I wouldn’t be able to sleep. I would just lay awake all night until the “safe” time of around 5am and then I’d get a couple hours of sleep before school. As an adult I am less scared of these scenarios … except for when Adam has to go on work trips. When I’m in the condo all alone at night those fears come creeping back into my mind. Ugh! 4. Rollercoasters and other scary rides. As I very young child I hated rollercoasters. As a teenager I loved them (or at least I tricked myself into thinking I loved them to seem cool). Now, as an adult, I am back to being scared of them! 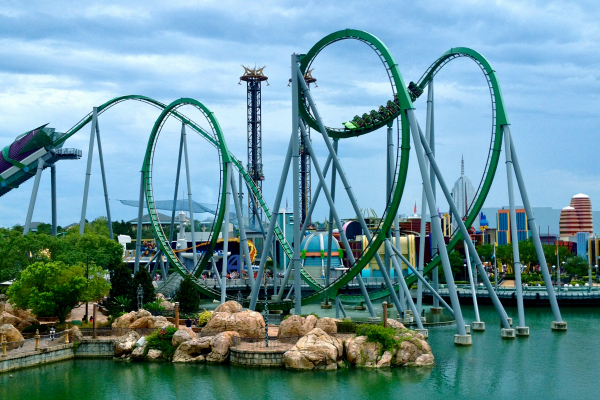 The last rollercoaster I was on was The Hulk at Islands of Adventure about five years ago. It actually wasn’t that bad … but I don’t plan on riding another rollercoaster again … ever. 5. Getting blood drawn. Does this even need an explanation? It’s awful!!!! 6. War. Bombs. This is another one of those irrational fears from childhood that have stayed with me. As a kid I would always have this recurring dream that I was sitting at lunch with my friends and I look up and see a line of bombs flying through the air towards us. When 9/11 happened I didn’t sleep for days. I was 15 years old at the time and I literally just stayed up watching CNN all night long. 7. Vampire in the closet. Well, I guess I have a lot of irrational fears that started during childhood because I have always been afraid that there is a blood sucking vampire hiding in my closet just waiting for me to fall asleep. My dad probably should not have let me watch scary movies at a really young age. As an adult I’m much less scared of this. 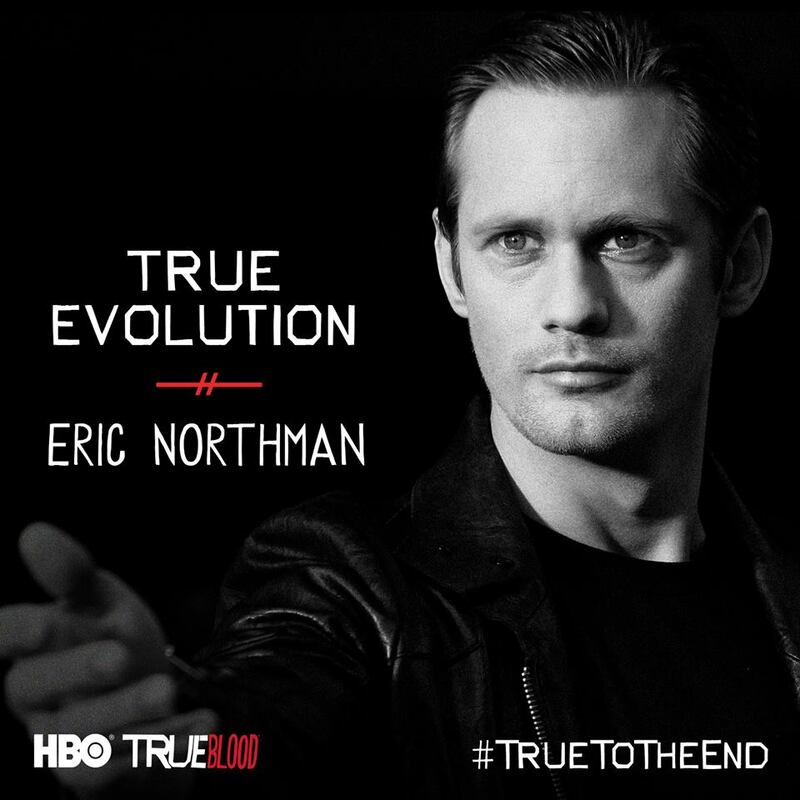 Especially if it’s Vampire Eric in there. Just sayin! 8. Getting pregnant. Having kids is just not on the to-do list for Adam and I.
I admire my mom and all the awesome moms out there, but it’s not a job I feel comfortable applying for. Being a cat mom is more my style! : ). Previous Post My First 5K of the Season is Almost Here! Next Post First 5K of the Season is in the Books – I PR’d! I have nightmares that I am pregnant. Which is ridiculous because I take very careful steps to make sure I DO NOT get pregnant. There is like a 0.000000000000001% it would ever happen. And if it did happen, I would get an abortion. I don’t mean to sound flippant about it but I will truly NEVER have a kid. Cats are where it’s at!!!! Your little Woofy…. he has definitely seen better days. Where do you keep him?? Aren’t you scared of snakes??? I bet FL has all kinds of horrible, scary snakes!!! I take very careful steps too! But that 0.00001% chance is always scary. We don’t have any snakes near where I am! I have never seen one on any of my runs! When my boys were little I used to have serious fears about them puking – like I would lay awake in bed at night thinking I heard them – stupid really but…..
Two people I know and respect HATE roller coasters? What is wrong with this world? I LOVE them, but I did go on several this year after about 10 years of never riding any. I don’t mind getting blood drawn. Am I weird? I just don’t look at it and I am fine. Even if I do look at it….nothing happens. Amy, I do totally think it’s weird that you are comfortable getting blood drawn! I just can’t imagine it! That is totally understandable! I would be so worried about that if I had kids … especially a baby! Roller coasters are ridiculous … especially the kind where you feet dangle! We are on the same page for many of these! I too am terrified of not being able to retire. I’m only 27 and I already want it so badly it’s not even funny. I don’t make nearly as much money as others, so I’m slowly accepting that it might not be a possibility. But having a part time job that I work at so I can still be semi retired wouldn’t be the worst thing ever. I guess we’ll see how life shakes out. I don’t want children either. I can barely take care of myself, let alone another human! I agree with you! I am doing my best to make sure I can retire comfortably, but at the same time I wouldn’t mind working a fun part time job. I think I’d like to be an adjunct professor or something like that! I taught undergrads during grad school and really enjoyed it! I am 100% with you on the getting blood drawn and being pregnant. Although kids may be in our future, it still does not change the fact that I fear the day I get pregnant. Sometimes when I am running, I have an irrational fear that someone is going to jump out and stab me from behind. I think I watched the movie Scream at the wrong age when I was younger. I have that same fear when running in the dark! Sometimes I punk myself out from going on an early morning run even if I’m wide awake because I get myself all worked up over the idea! I also worry about the whole retirement thing and I’m not even out of university – I think our generation just has a much more inborn fear about money issues given what we’ve grown up in. I am absolutely terrified of snakes and spiders, like if I watch a snake documentary, I literally cannot move from my bed because I’m terrified that they’re be something slithering on the floor (seriously). The house burning down in the middle of the night! As a kid, I used to have a suitcase packed in my closet so I could grab it and go if there was a sudden fire. The only things in it were books. Ahh like Brooke above I had an irrational fear of the house burning down (and also had a stack of my worldly possessions next to my bed in case I had to jet). As an adult I have an irrational fear of bears/lions coming my way while hiking. We share quite a few fears! Pregnancy is one of my top fears because I’d be torn about how to handle that, being happily child-free myself. And yes, the fear of not having money to retire…especially because I’m a teacher and Matt is self-employeed. I need to start a savings account, like, NOW. Also, I get VERY anxious in tall stairwells, when you can see all the way to the bottom, anything over 4 stories, forget it. As a parent, I always worry about the kids…but I think those are more rational.